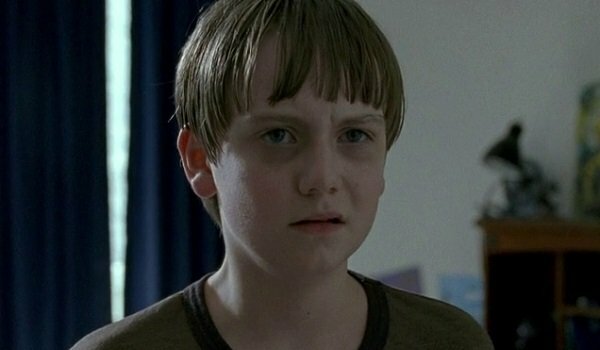 It’s been over two months since The Walking Dead killed off one of its characters, which is pretty incredible. Yeah, I know that it’s been on hiatus that whole time, but I think that’s largely just a technicality. This is a show that cuts actors off as quickly as they’re hired, and we can expect nothing different once Season 6 kicks back into high gear, and every happy moment is balanced by 347 dismal ones. Here are 8 Walking Dead characters who could likely die in the remainder of Season 6, ranked by how likely the deadly outcomes will be. In the interest of transparency, I’ll say here that relatively unkillable choices like Rick and Carol aren’t here, and nor are several of Alexandria’s least-exciting citizens. Get your best post-apocalyptic graveyard-behind-the-house funeral attire fathered and read on, knowing that spoilers are coming. 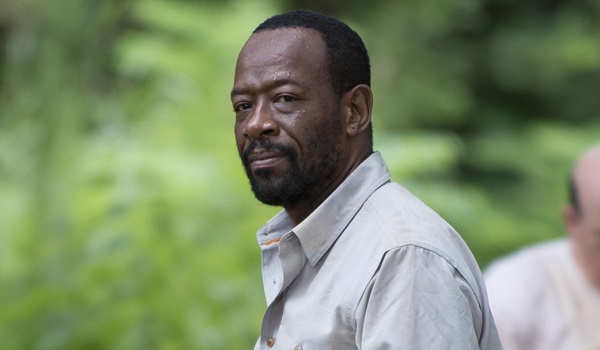 No one on The Walking Dead is quite like Morgan, both from a personality standpoint and from a “how he’s been used in the narrative” standpoint. He went from emotionally-driven bit appearances to a more full-fledged role as Season 5 gave way to Season 6, and audiences have known him as both a near-psycho and a zen pacifist. It would be a bummer to watch him get shafted after seeing his backstory gets its own episode, but I don’t think this show can justify having a character who adheres to a “no killing” policy. We know that he and Carol have some issues that will likely get addressed in the coming months, and she is not against killing him if he becomes an obstacle. 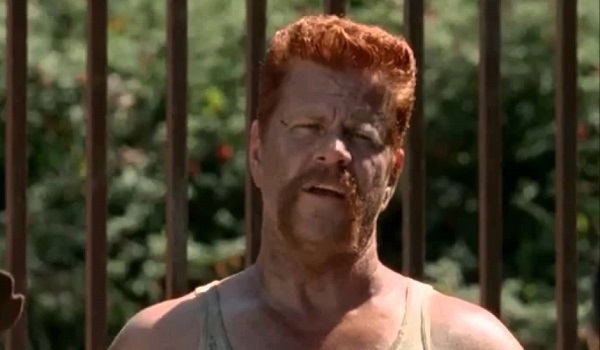 Abraham has cemented himself as a fan favorite character with the show’s most quotable lines, and that’s as good a reason for the creative team to send him off as any others, particularly if he’d be going out on top of his game. 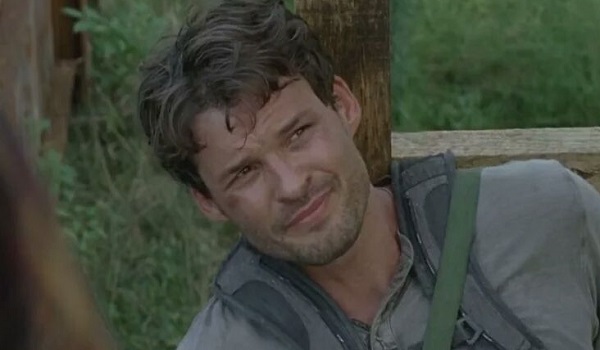 We got to watch him get some alone time during the disjointed first half of Season 6, and even without anyone else around, he still seems like a guy who is always 11 seconds away from going down in a blaze of walker-destroying glory, all with a smile wrapped around a cigar clasped between his teeth. He definitely doesn’t live forever in the comics, and it’ll be interesting to see if the show chooses to use the source material as a parallel or a branching off point for a new direction. 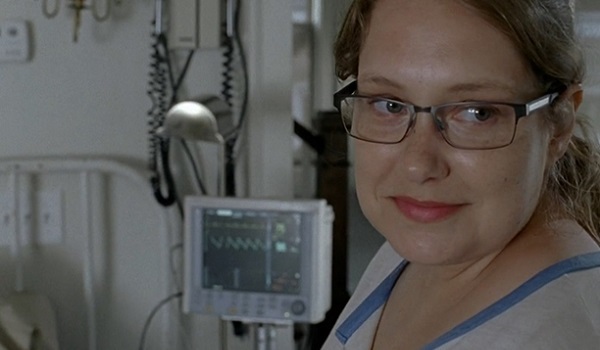 It would be a travesty if Merritt Wever was added to The Walking Dead cast merely to pop up in the background a few times before getting killed off less than a season later. But it seems just as likely as anything else this season, especially since we last saw her as a hostage for the Wolves guy that Morgan was holding hostage. The Wolves kill anything and everything, so it’s not likely any kind of confrontation could happen between Alpha Wolf and Alexandrian people without Denise getting caught in some kind of crossfire. But perhaps she can escape in place of someone else falling victim, and then she can build up her role as the community’s only medical professional. As the only surviving member of the Monroe family, Spencer doesn’t really have much of a legacy to live up to as far as audiences are concerned, but he may have something to prove to the people in Alexandria who were around long before Rick & Co. showed up. There’s a good chance that seeing his mom Deanna in walker form would knock him for a mental loop and turn him against Rick, who’d already chastised him for the old “attempt to draw away the walkers by a rope climb that almost totally backfired” trick. We all know what happens to people who go against Rick, and Spencer wouldn’t stand a chance. But maybe he’ll think better and live longer. 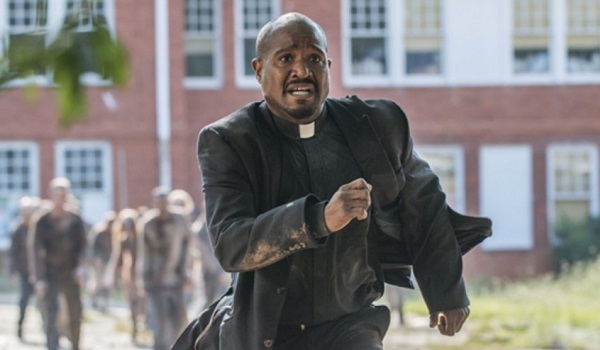 If this was a list of characters we wanted to see dead soon (or already), Father Gabriel would definitely be at the top. I love Seth Gilliam and all, but this is a character that just isn’t given very much narrative rope to swing around with. He doesn’t really personify religion in the post-apocalyptic world, which would make his role a clearer one, and he doesn’t appear to have any story thrust beyond doing something cowardly and then feeling remorseful about that decision. It’ll be strike three for him next, and I think it’s time the show allowed the flip-flopping preacher to meet his maker for the long eternal haul. 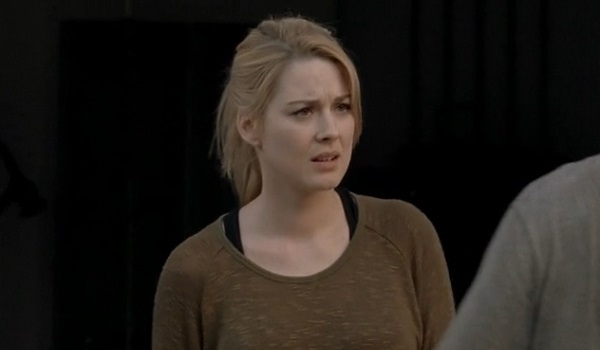 Tara is basically the blueprint for a Walking Dead character who is meant to get killed off, and the show’s boundary-expanding future means that a lot of under-developed characters will need to be excised in order to bring in new ones. 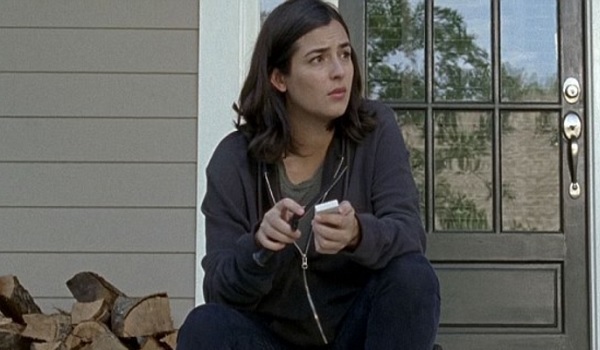 She’s been around for two full seasons and her character has been drawn out through her time with both Abraham and Eugene, as well as a shared smooch with Denise, but Tara is basically still the same level of walker bait that she was as one of the Governor’s flock. It’s entirely possible that Tara will live to see new days in Season 7, but it’s not all that probable. It doesn’t take a therapy session with Rick Grimes to know that he’s a guy destined for doomed romances – especially in a world where romance takes a far-away backseat to things like “finding drinkable water” – which already meant Jessie’s days were numbered. Plus, she and her abusive husband Pete raised a total turd of a kid that will probably be responsible for getting her killed. Audiences would be fine with Jessie the Widow and Rick getting together, but it gets several degrees more complicated when she’s also Jessie the Mourning Mother, and so she probably has to die. In a perfect world, she could be Mourning Mother without her position as Rick’s love interest entering into it, but this isn’t a perfect world. Not only is Sam the character most likely to die, he’s almost definitely going to die as soon as the show begins again. And this, ladies and gentlemen, will be glorious. (Unless Scott Gimple and Robert Kirkman somehow change this up and ruin everything.) The last thing that happened during the midseason finale, not counting the Saviors’ arrival, was Sam calling out to his mom as the gore-soaked survivors were trying to sidle through the walker herd undetected, and that idiotic move is going to seal his fate, and possibly that of several others, too. But while Sam will probably die as the result of walker bites, it’s my secret hope that Carol walks by and smashes his face in with a shovel. Side note: I don’t have Ron on this list because I think he will survive his entire family to become either a friend or an enemy to Carl as time goes on. The show needs more young characters that matter, and while Ron probably won’t matter that much in the long run, he could easily be utilized in such a way, especially with Enid returning to the group along with Glenn. I could be very wrong about that, though. The Walking Dead returns to AMC on Sunday, February 14. To see when everything else is premiering in the coming months, head to our midseason TV schedule. Which Walking Dead Character Is Most Likely To Die?